You are probably aware that you can disable password prompts altogether for free downloads made on your iPhone, iPod touch, iPad and Mac. As an added layer of protection, iOS and OS X will either require your Apple ID password for each paid download or after fifteen minutes of making your last purchases in the iTunes Store, App Store, iBooks Store or Mac App Store, depending on your preference. 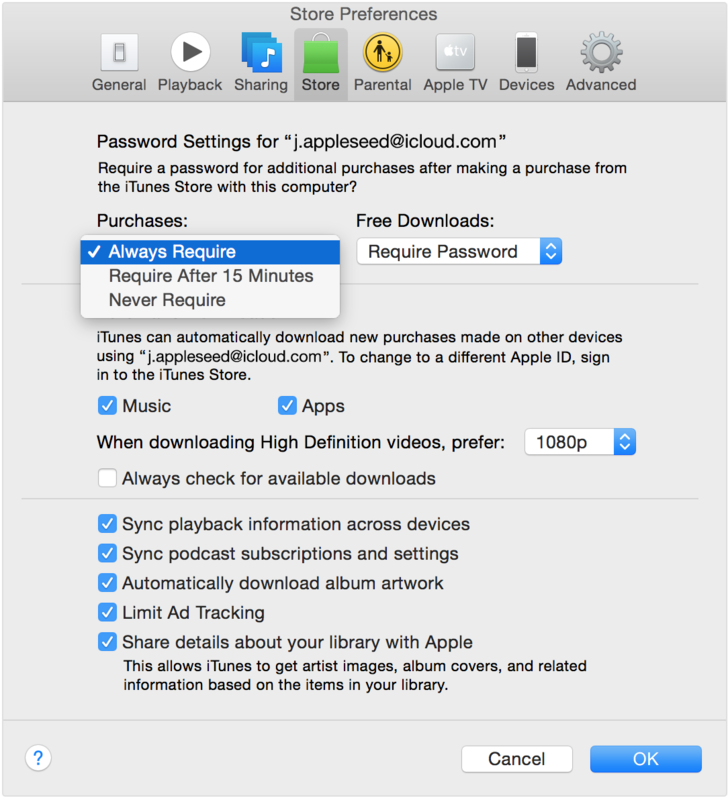 What you cannot do on iOS and OS X is disable password prompts for both free and paid downloads. On the new Apple TV, however, it’s possible to turn off password protection for both free and paid items and this tutorial will help you do just that. 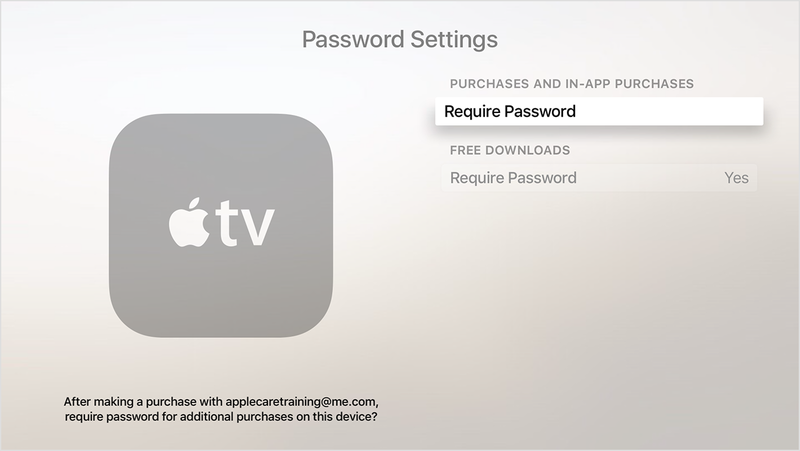 Step 1: On your Apple TV, go to Settings → Accounts → iTunes and App Store → Password Settings. Step 2: In the section labeled Purchases And In-App Purchases choose the Require Password option. Step 3: Now set your preferred level of protection to Never. 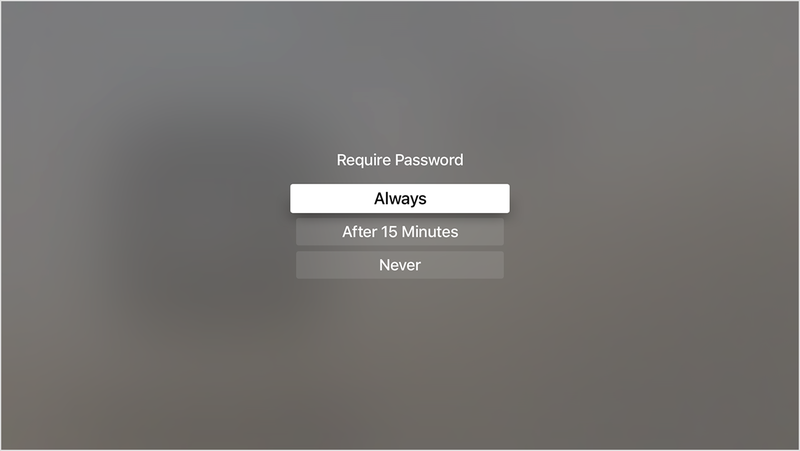 You can also choose to be reminded to Always enter password for purchases or After 15 Minutes. Step 4: Also select Require Password under the Free Downloads section and choose Never to turn off password prompts when downloading free apps from the App Store. Tip: If you set Require Password to Never in step 3, there won’t be an option to turn this setting on. Step 1: On your Apple TV, go to the Settings → iTunes Store → Sign In section and sign in with your Apple ID and password. If you already are signed in, sign out and then follow the steps in this section to change your password settings. 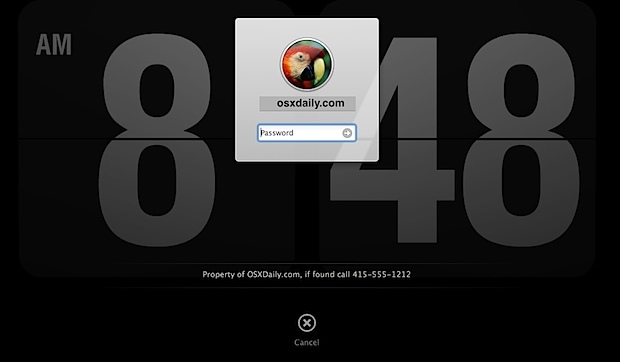 Step 2: You should now see a screen that offers you to remember the password. Choosing “Yes” remembers the password for purchases as long as you’re signed in with your Apple ID. Setting your level of protection to “No” will require your password each time you purchase television shows or movies on the device. Though you can disable password prompts for free items in iOS and OS X, you cannot completely turn off password protection for paid downloads on these platforms. As a refresher, related password settings can be found on your iPhone, iPad, or iPod touch under Settings → App and iTunes Stores → Password Settings. If Touch ID is enabled for App Store purchases, you won’t see this menu so manage these features in Settings > General > Restrictions > Password Settings. 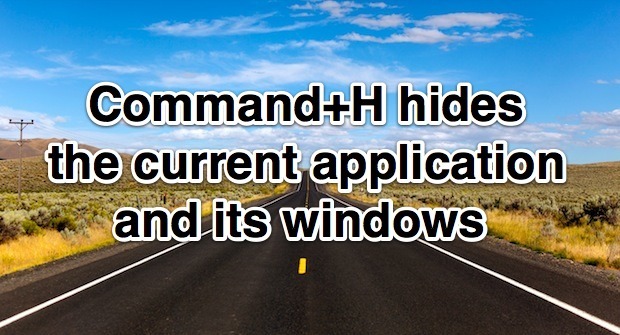 If you like this tip, check out other Apple TV tutorials in our archive. 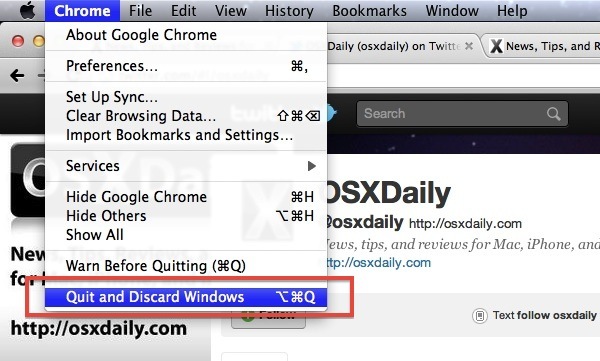 Stumbled upon, or discovered a nifty little trick for your Apple device? Share your findings in the comments below or shoot us an email at tips@iDownloadBlog.com. Along with rearranging apps in a similar manner to how it’s done on iOS, deleting apps on the Apple TV is a familiar exercise as well. 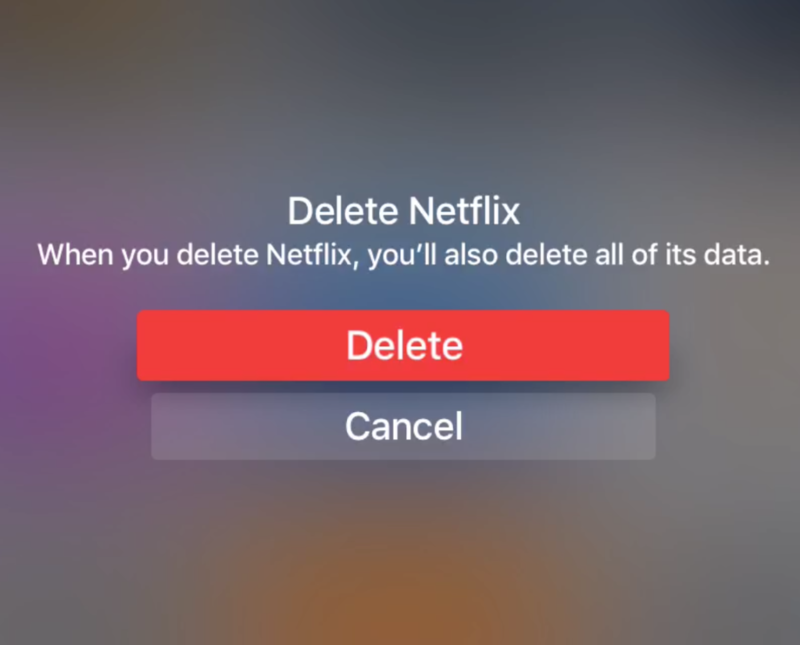 Like iOS, there are two ways to delete apps from the Apple TV—from the Home screen and from the Settings app. Check out our video walkthrough that show you both methods in detail. That’s all there is to it. Two simple ways to get rid of apps on the new Apple TV. The first way is the easiest, but the second way is by far the most efficient method if you wish to delete more than one app. Which way do you prefer? Some more modern HDTVs and receivers allow connected devices to control power and volume via the HDMI cable. Right out of the box, the new Apple TV is configured to support devices compatible with what is known as HDMI-CEC. 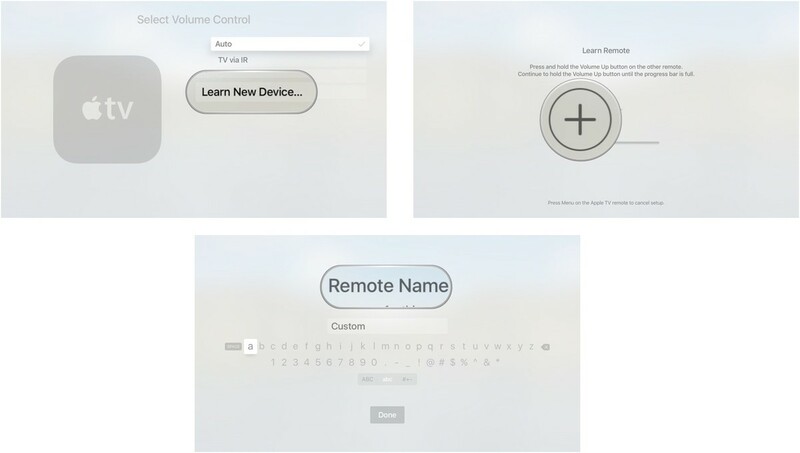 For older devices that don’t support HDMI-CEC, users can program the Siri Remote to mimic their legacy remote and allow for volume control. 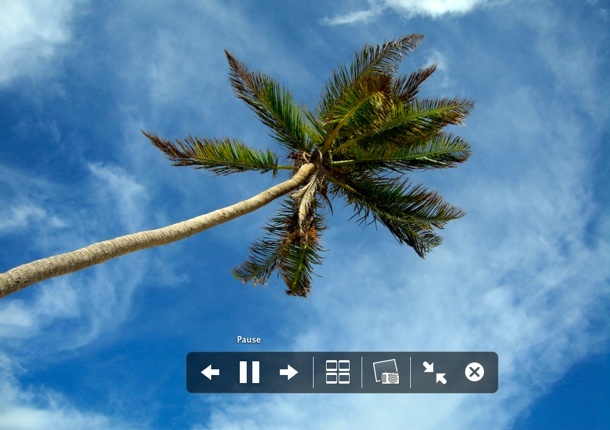 Users can then grab their traditional TV or receiver remote control and point it at the Apple TV, and are instructed to hold the volume up and then volume down buttons. The infrared receiver built into the fourth-generation Apple TV will learn the remote commands for volume up and volume down. After sending the proper commands, the Apple TV will ask the user to name their new remote for easy identification later. Once the volume controls are programmed, the plus and minus buttons on the bottom right of the Siri Remote will now successfully adjust sound on a legacy TV or receiver, thanks to the infrared transmitter positioned on the front of the Apple TV remote. For those with HDMI-CEC compatible TVs and receivers, control settings can also be customized through the “Remotes and Devices” menu under “Home Theater Control.” There, users can enable or disable volume control and turning on and off of the TV when the Apple TV is put to sleep. If the connected accessory is not HDMI-CEC compatible, “Turn On Your TV with Your Remote” will be greyed out. 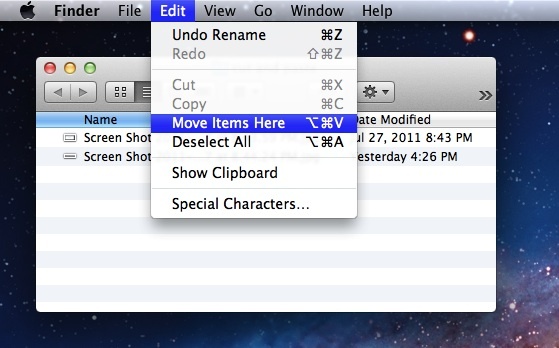 Here’s a fun trick: Learn how to quickly type special characters on your Apple TV. The Siri Remote is notably faster than its predecessors at text entry, but you’re still dealing with the swipe-and-click-to-select process when it comes to entering letters and switching from uppercase to lowercase keyboards. And since Bluetooth keyboards don’t currently seem to be supported, you’re going to be doing a lot of swipe-and-click-to-select-ing. If you’re using an English keyboard, you’ll see up to five different keyboard options: “abc”, “ABC”, “#+-“, “123”, and “Recent”. The first two are the lowercase and uppercase variations of the alphabet with a basic numberpad; the “#+-” keyboard contains symbols and numbers; “123” contains solely numbers; and “Recent” saves recently entered phrases. 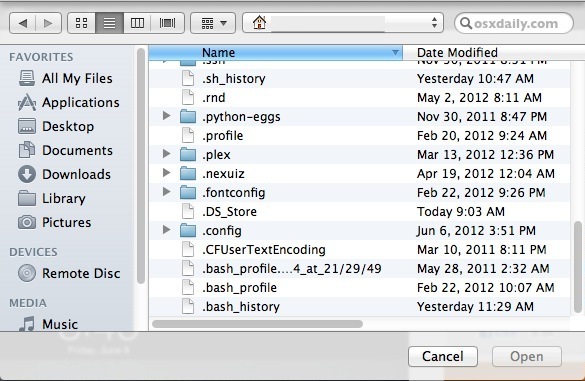 Third-party apps can incorporate any and all these options depending on the type of text entry required. If you want to avoid repeatedly typing your email address or the same search query on the Apple TV, use the Recent keyboard: It saves any email addresses, account names, or search terms you’ve entered recently. If you want the text-entry process to go just a bit quicker, here’s a nifty little shortcut: Tap and hold on any lower-case key to reveal its uppercase version, along with any accented variations. This way, you don’t have to repeatedly switch between the Uppercase, Lowercase, and Symbol keyboards. Any other fun keyboard tricks you’ve discovered? 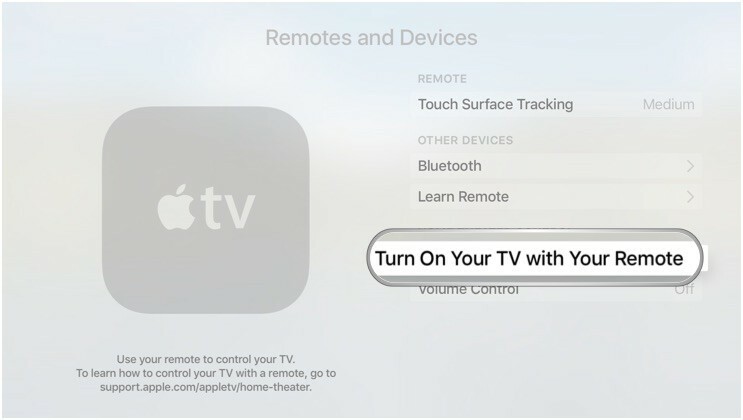 Want your Siri Remote to turn on your TV and control volume? Here’s how. The fourth-generation Apple TV comes with the Bluetooth 4.1-connected Siri Remote. Not only does it have some fancy functions when it comes to Apple’s new set top box, but it can also control your television’s power and volume, and if you have a TV that’s HDMI-CEC-compliant, it can automatically switch inputs, too. If your television supports HDMI-CEC (HDMI Consumer Electronics Control), you should be able to automatically control power, inputs, and volume after setting up your Apple TV. I’ve had mixed luck with this in my real-world testing—I can control power and volume, but haven’t gotten input-switching to work. 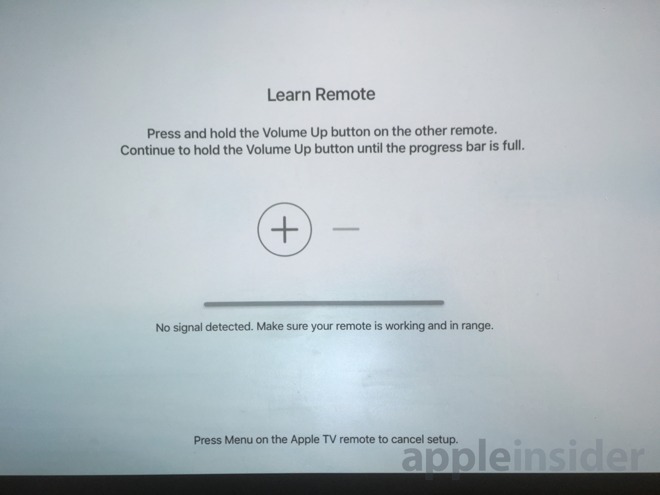 If you’re using an older TV, or your Apple TV didn’t automatically set up your remote for you, you’ll have to teach your TV how to recognize it. Go to Settings > Remotes and Devices. Under Home Theater Control, enable Turn On Your TV with Your Remote. If the options are available, you can select Auto or TV via IR. 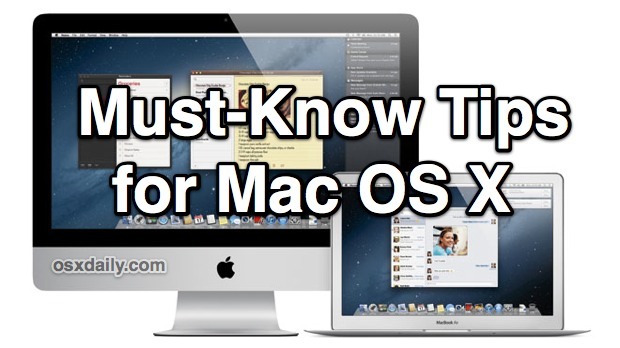 If not, click Learn New Device to map your Siri Remote to your television. More than one person using the Apple TV? Set up multiple accounts! Since the new Apple TV is meant for rooms—family rooms, classrooms, meeting rooms—it needs to support more than one person. That means it needs to support more than one Apple ID (iTunes/App Store account) at a time. And it does! It may not be as smooth or as powerful as multiuser on the Mac, but it’s more than we’ve had on any iPhone or iPad to date. Here’s how it works! Before you can use multiple accounts, you need to log into any and all additional accounts you want available. Click on Add new Apple ID. Enter the additional Apple ID username. 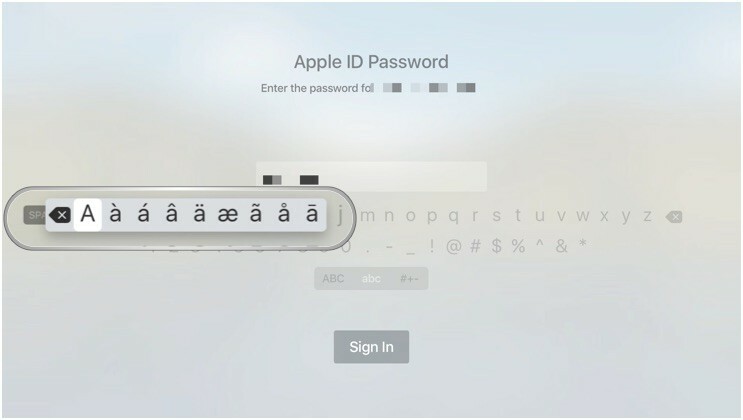 Enter the additional Apple ID password. While you have multiple accounts you can only use one account at a time. That means switching! Click on the account you want to use. You’ll now be able to download or re-download any apps or content available on that account. Multiple accounts work with Family Sharing, so kids can switch to their accounts and “ask to buy” just like on iPhone or iPad. Med en lille adaptor, kan du tilslutte din iPhone eller iPad til et hvilket som helst TV. Smart til præsentationer eller video-kiggeri. Se hvor nemt det er. De fleste er selvfølgelig helt bekendt med, at man via AirPlay kan spejle iPhonens eller iPadens skærm til eksempelvis en Apple TV. Det fungerer normalt fint. Der kan dog være situationer, hvor det alligvel ikke er optimalt. Eksempelvis hvis man bruger sin iPad til at lave præsentationer med, og ikke lige ved om der er en Apple Tv i nærheden af det TV eller den projekter, man skal bruge. Man kan selvfølgelig tage sin egen Apple TV, men det virker også lidt skørt at skulle slæbe den med hver gang. Ikke mindst er opsætningen noget bøvlet i forhold til en løsning, jeg beskriver herunder. Løsningen er at bruge en lille adaptor og et almindeligt HDMI-kabel. Så kan du i praksis slutte in iOS-enhed til stort set hvilket som helst TV, du kommer i nærheden af. Først og fremmest skal du have skaffet den nødvendige hardware. Den består af et HDMI-kabel i den ønskede længde samt en adaptor, som Apple sælger. Derudover skal du selvfølgelig have et TV eller en projektor med HDMI-indgang. Når du har alle delene er det bare at slutte dem til hinanden. 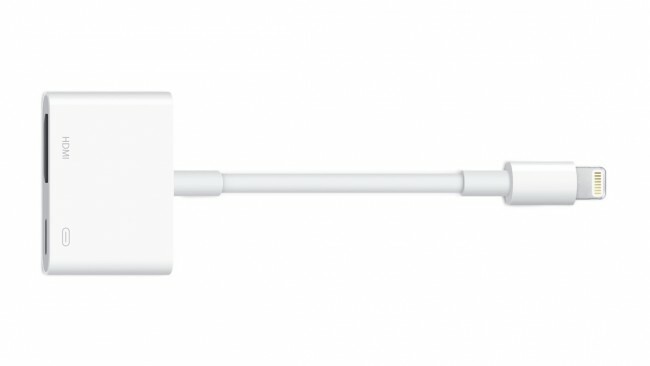 Adaptoren skal ind i iPhonens eller iPadens Lightning-port og dernæst skal HDMI-kablet mellem adaptoren og TV’et. Dernæst skal du på TV’t vælge den pågældende HDMI-indgang som kilde (input). Herefter vil iOS-enheden finde den tilsluttede skærm og selv spejle indholdet op den. Bemærk at billedet på TV’et vil rotere, hvis du roterer iPhonen. Det kan derfor være en ide at slå rotationslåsen til i kontrolcenteret. Nu kan du afspille en video, vise en præsentation eller hvad du nu måtte ønske. God fornøjelse. 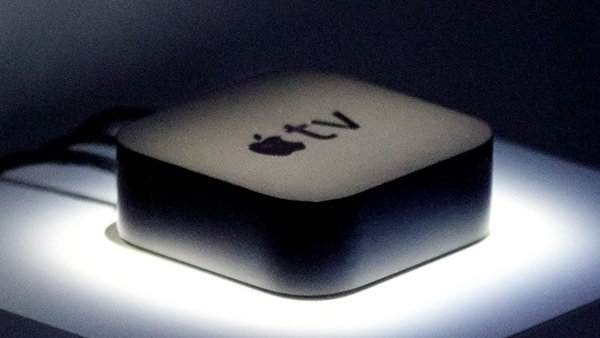 Is your new fourth-generation Apple TV acting funky? 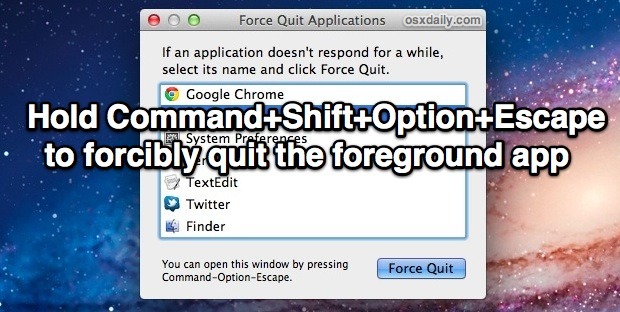 Here’s how to force quit, restart, and reset. Apple’s newest set top box has a lot going for it, but it’s still a pretty new product, with a new operating system and new app SDK—the occasional bug here and there is inevitable. If you’re still having trouble with apps and the Apple TV, you can force restart your device by going to Settings > System > Restart. If that doesn’t cure your Apple TV ails, you may want to try uninstalling and reinstalling the misbehaving app in question and reaching out to the developer. If you’re having trouble getting video or audio content from a specific channel or provider, you may want to chat with them. Check out Apple’s list of contact information for content providers for phone numbers, websites, and email addresses to most popular services supported on the Apple TV. If you’re having issues with apps and tvOS across the board, it might be time for a hard reset. 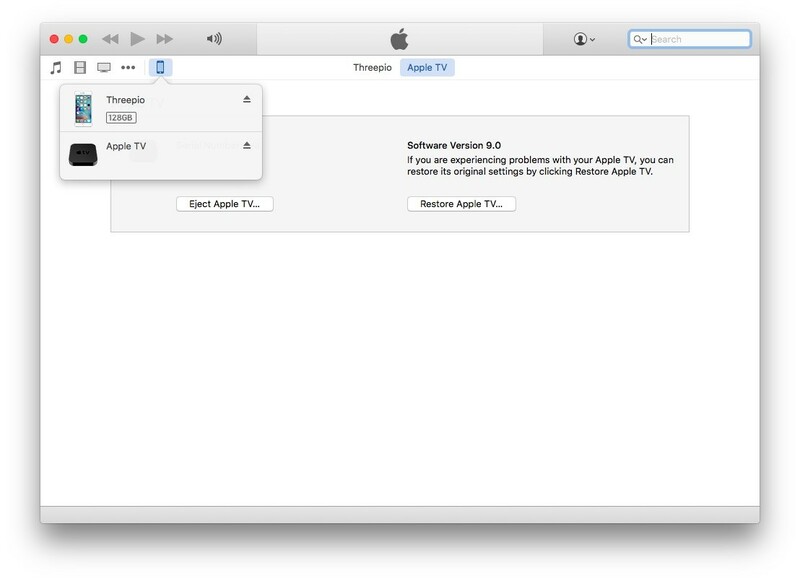 You can restore your Apple TV to factory settings by going to Settings > System > Reset. Be aware that doing so will erase any local content you have, including game saves that aren’t backed up to iCloud. If your Apple TV is completely unresponsive, it may be time to connect it to your computer and force a restore via iTunes. Here’s how to do so. 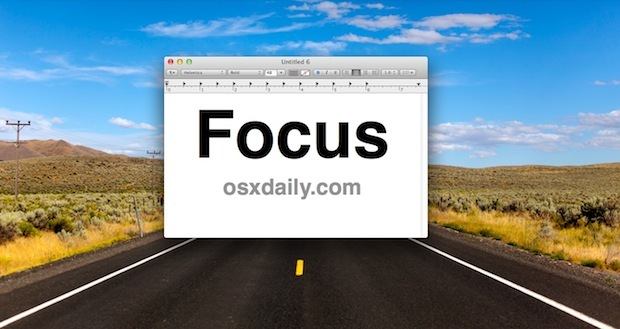 Still can’t get your Apple TV to work? If your Apple TV boots, you can go to Settings > General > About (or Settings > Remotes and Devices > Bluetooth > Remote for your Siri Remote’s serial number). If your Apple TV’s bricked, you can view the serial number by connecting it to your Mac via USB-C cable and opening iTunes. Can’t get any signal from your Apple TV? Turn it over; the serial number is located on the bottom of the device, below the FCC symbols and information. Run into a problem with the new Apple TV you can’t fix? Let us know in the comments and we’ll check it out. 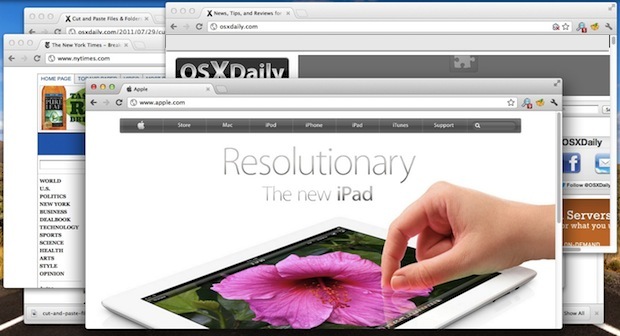 You can also check out Apple’s troubleshooting advice for more information.